As America tried to make her peace with the wounds of Vietnam and the scars of segregation, schools implemented plans for racial diversity. Swann v Charlotte-Mecklenburg Board of Education had long been a closed case when new events in North Carolina caused it to be reopened. a new set of white plaintiffs asserted race-conscious admission policies are discriminatory. In other words, they alleged the Swann case itself became unconstitutional. But the climate of America was much different when the Swann case returned to the Supreme Court. The turbulent days of 1971 are completely unknown by an entire generation. Even for people who lived through gut-wrenching days of political unrest, student protest and seemingly endless war in Vietnam, those times are becoming a distant memory. 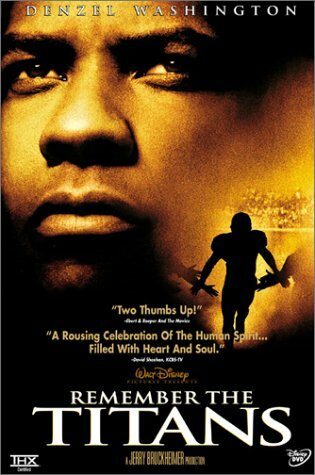 It seems fitting, then, to Remember the Titans as they and their coaches confronted not only the internal pressures of integration, but also the external pressures of political unrest. To have become champions despite formidable odds against them is a tribute to the character of T. C. Williams High, its football team, and their coaches. It is also a testament to the power of the human spirit in overcoming the most extraordinary obstacles imaginable. AwesomeStories gratefully acknowledges the assistance of the Original Titans and Gerry Bertier's sister, Becky Britt. Bos, Carole "SCHOOL BUSING AN ISSUE AGAIN" AwesomeStories.com. Sep 01, 2000. Apr 25, 2019.